Education is greatest gift one can give to oneself and others. There are always new things that you can learn from, even the most novice person on the team. During the years of building JiwaFoto, I have come across the idea of sharing the methods of better photographic techniques and storytelling process. As an agency, our photographers would gladly accept the ideas of sharing as the best way to improve their photography. We would get together in our office and backyard to learn new lighting techniques, do slideshows to show each other how one approaches the story and photo angles. It was a way for us to just dive down and try to make ourselves better. The opportunity to make all of these sharing session a permanent one came when the World Press Photo's educational wings approached us to continue a program that had been started in Indonesia. 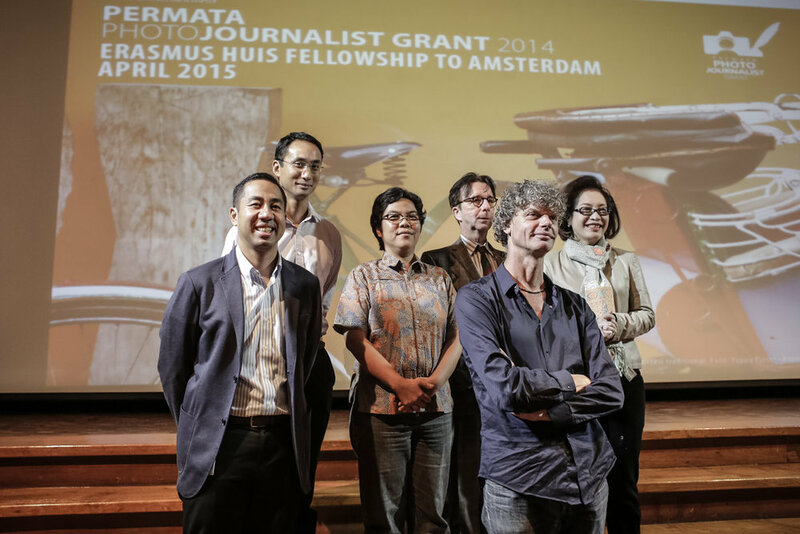 The idea is to build an independent institution that focuses on the education for photojournalism. Needless to say, we didn't think much of it and jumped on the chance. PannaFoto Institute was born on April 19, 2006. It was built as an independent organization from JiwaFoto. To be very honest, it was hard work to keep 2 institutions running at the same time as we had limited funding and resources and it took a while for PannaFoto to mature and to be where it is now. It has outlasted JiwaFoto and continues to thrive and gain long-term partners such as PermataBank and the Eramsus Huis Jakarta. Setting up an institute was the easy part. Finding the right partners was the hardests. We had the very fortunate of finding the most dedicated and influential partners. We could not have gotten to where we are without the right partnerships. I learned from photo books prior to the infinite access of the internet. Unfortunately, good collection of photo books are hard to come by in Indonesia. We started to collect books from generous donors and started a public photo book library that has now become one of our cornerstones of our institute. You can't never have enough discussion and review sessions as a photographer. This is how you become good at your craft. Sharing your visuals and having the open mind to be criticized is a must for development. We have learned as much from the students as we have given them.